What are the Best Careers for the Future? What careers are likely to provide you with a little job stability, as well as decent pay? If you are looking to the future, you want a job that you know will be around. The good news is that there are a number of best careers for the future for you to choose from. Some of the best jobs, though, have to do with health care professions. With Baby Boomers retiring and aging in the next 20 years, those who are involved in their care are likely to see job growth and security. But there are other growing professions as well. According to the Bureau of Labor Statistics (BLS), dental hygienists are expected to see growth of 38% through 2020. That’s much faster than average. Dental hygienists are in demand, and the median pay in 2010 was $68,250. That’s not bad for a career that only requires an associate’s degree. This is another health care related job that is going to see solid growth in the coming years. Demand for RNs is expected to grow 26% by 2020. The median pay is a little bit lower than the hygienist pay, at $64,690 per year, but the hourly wage is a little higher. You only need an associate’s degree to be a registered nurse, but you can go on to receive more education and specialize or become a nurse practitioner. If you specialize or become a practitioner, you can earn a lot more. With computers becoming increasingly integrated into our lives (don’t kid yourself; your smartphone is a tiny computer), software developers are becoming more important. The median pay for a software developer, according to the BLS, is $90,530. Job growth is put at 30% between 2010 and 2020. You can start as a software developer with a bachelor’s degree, but you have to be sure to keep up with trends. This isn’t the most lucrative of the best careers for the future, but you can receive reasonable job security as a construction equipment operator. This is a dream job for many kids (run the big machines! ), and it can happen with a high school diploma. The media pay is $39,460 per year, but if you get special certifications, and receive licenses to operate specific equipment, you could end up getting paid much more. Since the Great Recession, many people have been looking for financial help. In fact, personal financial advisors are expected to see 32% growth through 2020. That’s pretty good. The median pay is $64,750 per year, and only requires a bachelor’s degree to get started. 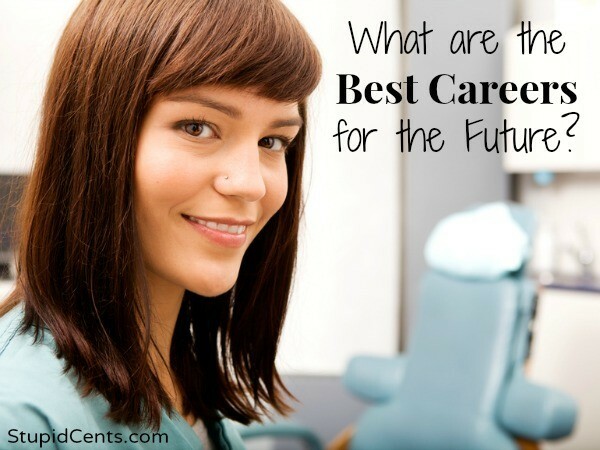 If you are looking for the best careers for the future, look in physical therapy. With Boomers likely to need lots of help as they age, physical therapy is going to be big. The BLS predicts that there is 45% growth likely between 2010 and 2020. That’s job security for you. The median salary is $37,710 per year, but you can get started with an associate’s degree. You can get more education and training in order to earn more down the road. Software developers are making so much right now, too – it’s the most desired field, I think, and it’s only getting bigger. I’m a dental hygienist and love my job! There are a lot of opportunities within the profession that make it very appealing. I have thought about going back to school to become number 1 and number 2. My buddy is a software developer, and he gets 2-3 calls a week offering him a position somewhere – it is insane! I would definitely try this route if possible. The pay seems to also be the highest from what you show in the list. I’ve been toying with the idea of pursuing a personal finance qualification. But I think that I have enough knowledge and degrees and work experience to offer sound advice. Plus, I’ve been studying for soooo long – I need a little break.